Blossom Installations » Porsche Carrera RS 1973 “clone” hidden sound system. 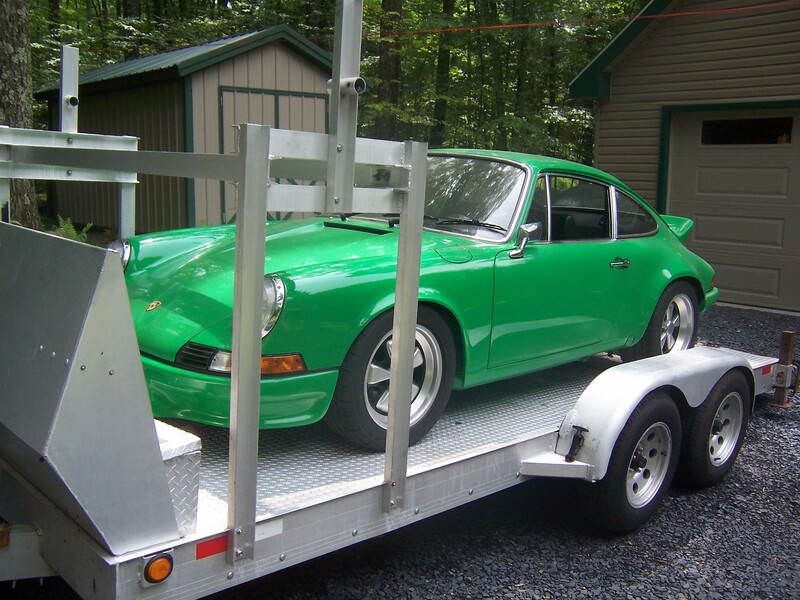 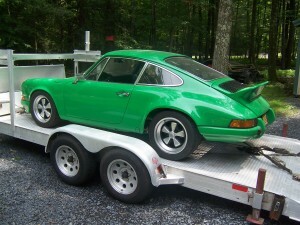 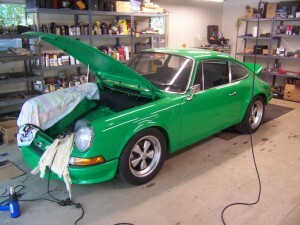 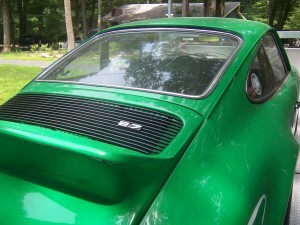 Porsche Carrera RS 1973 “clone” hidden sound system. 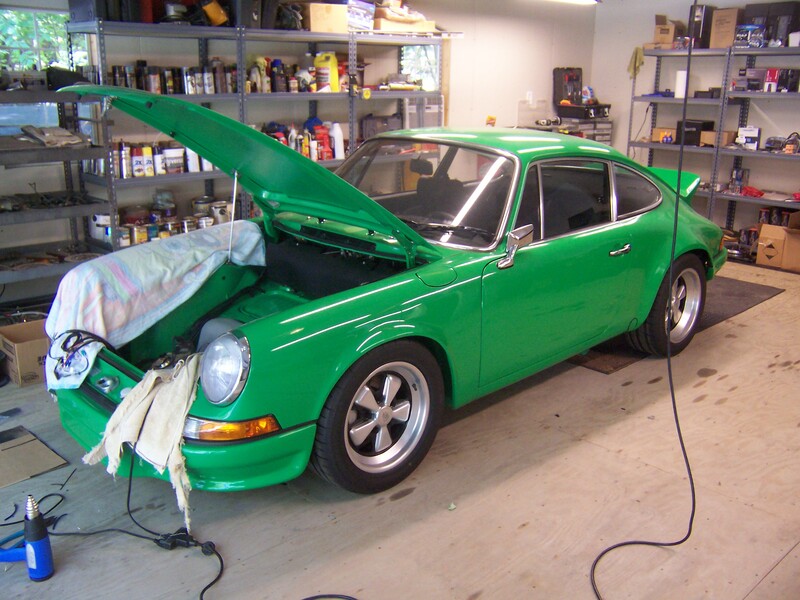 A full restoration of a beautiful car starting with an acid dipped body to resurfacing every nut and bolt put back on the car. 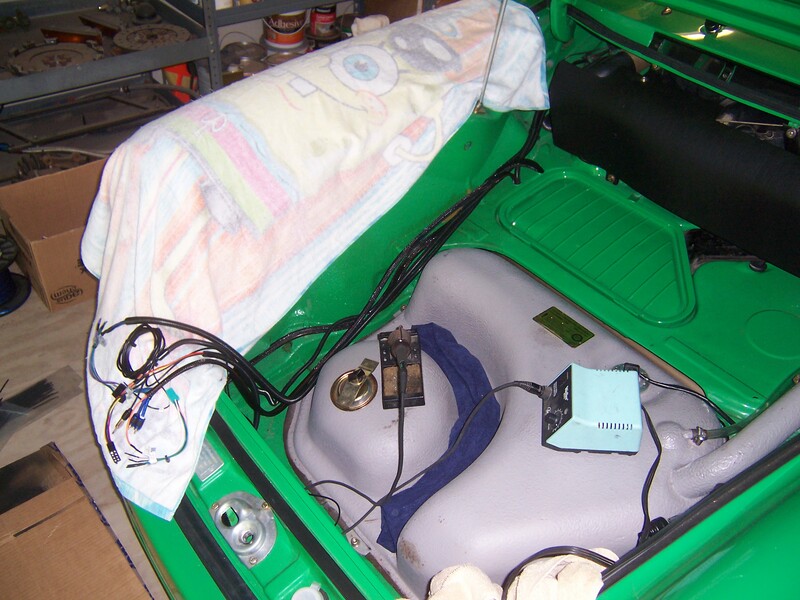 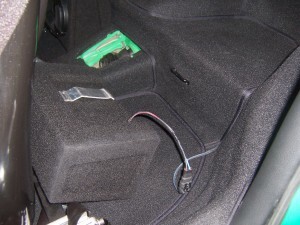 Since this car was to be daily driven the owner wanted a hidden sound system installed. 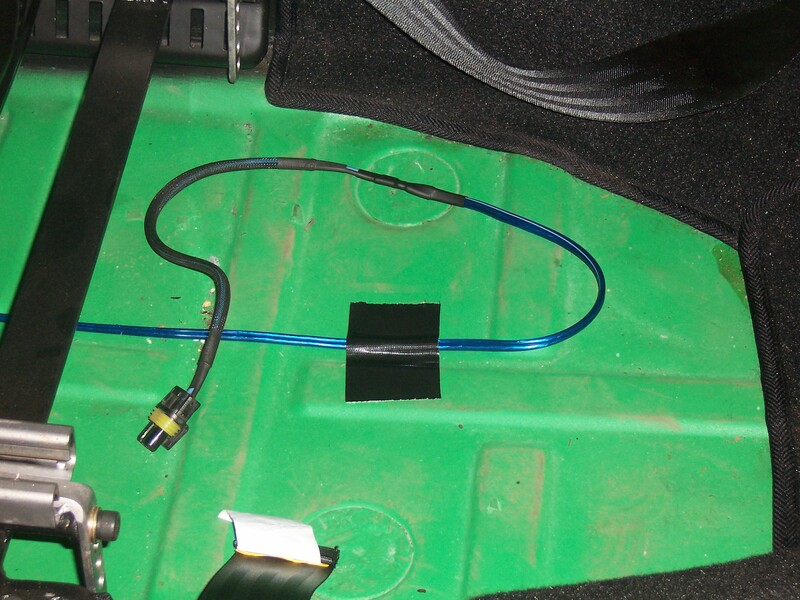 The rules: I wasn’t allowed to drill a single hole for any reason or modify any panel of the vehicle. 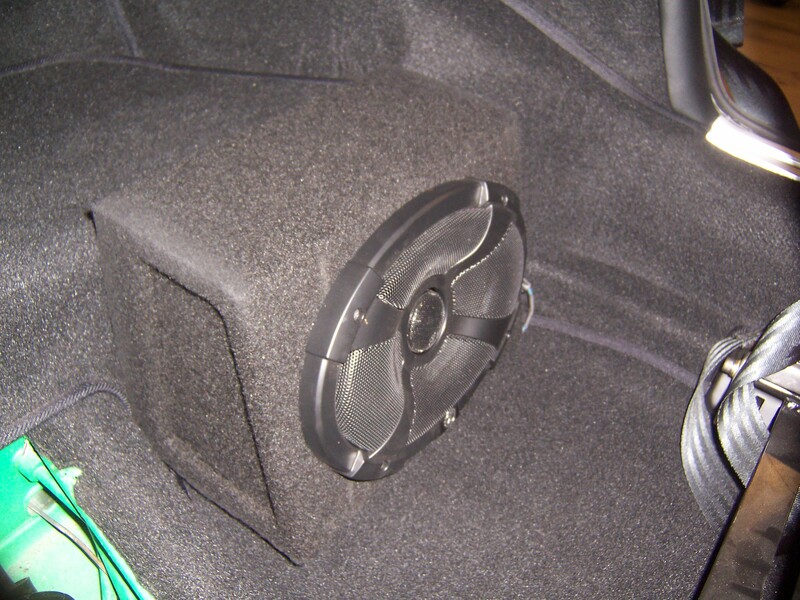 What, what, what, never in 23 years have i had to design an audio system within that criteria. 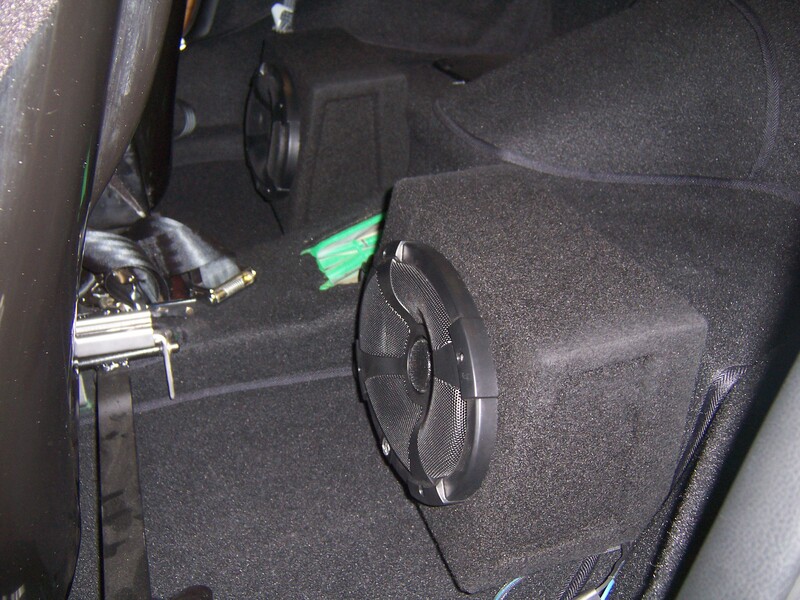 It took looking at the vehicle on four different occasions to design a sound system to meet my clients demands and to meet my audio expectation when finished. 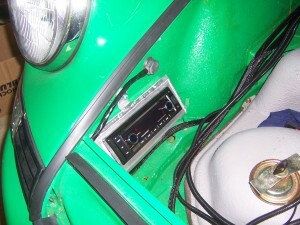 A remotely mounted Blaupukt Cd receiver was mounted in the spare battery location. 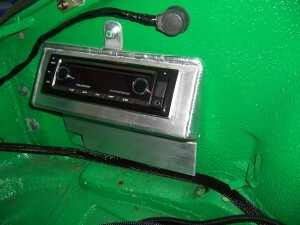 An aluminum faceplate held the Cd receiver while a factory ground stud was utilized to mount the cover the the battery box. 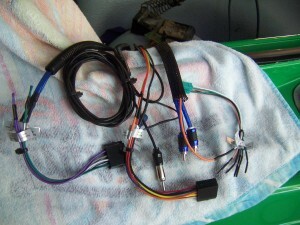 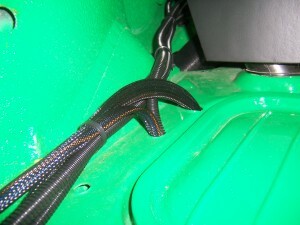 All the audio wiring was dressed in loom and heat shrunk at the ends for a factory finish. An aluminum amplifier rack was fabricated and mounted to existing factory studs inside of the smuggle box. The wiring was routed through two holes in the body. 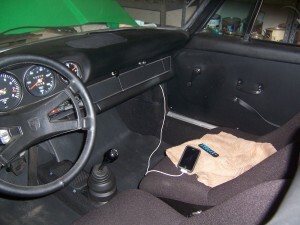 A single speaker location in the top of the dash was converted to a pair of 4″ speakers for stereo sound from the front two channels. 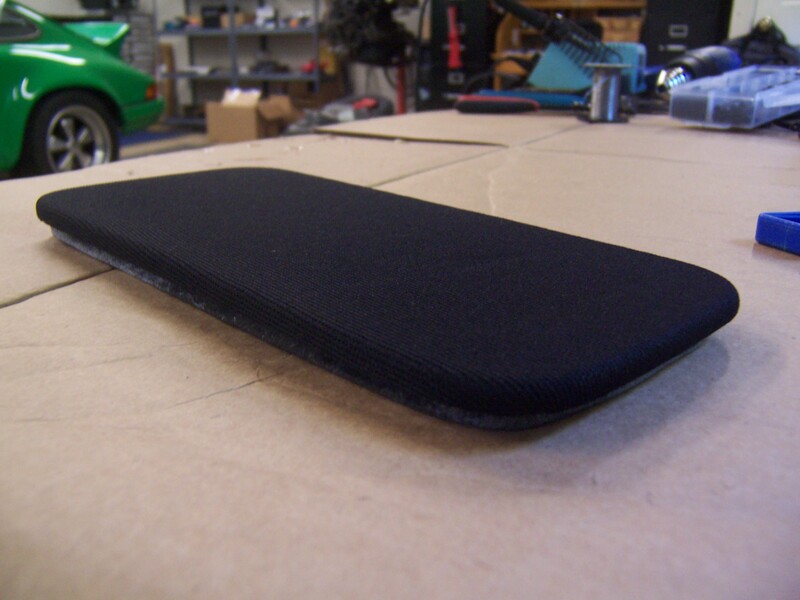 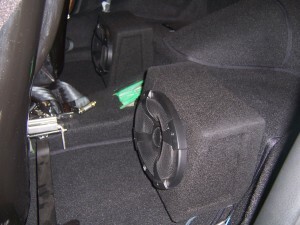 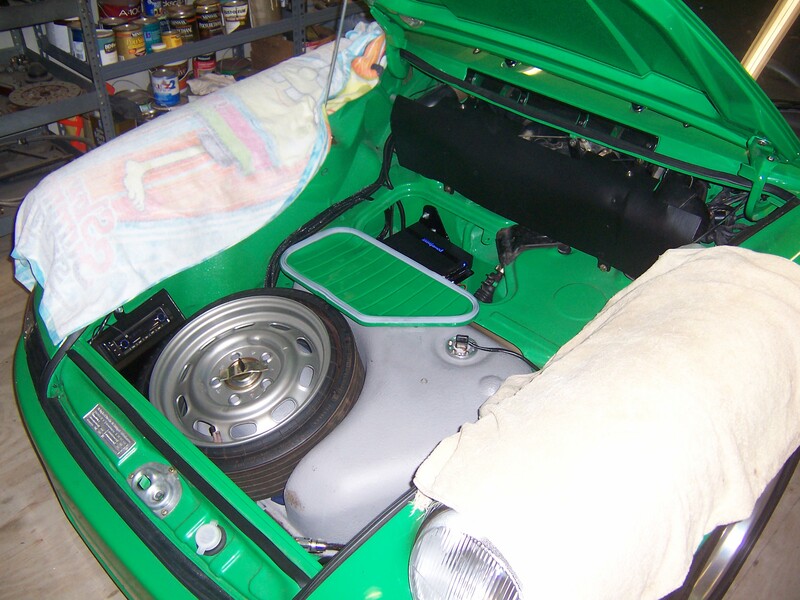 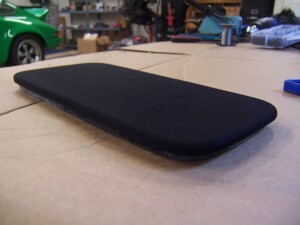 To add muscle and bass to the overall sound a pair of removable 6X9″ speaker boxes were installed facing frontward to help them blend with the dash speakers. 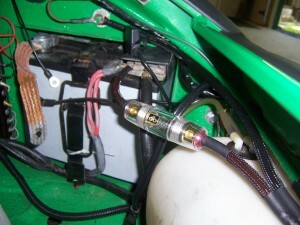 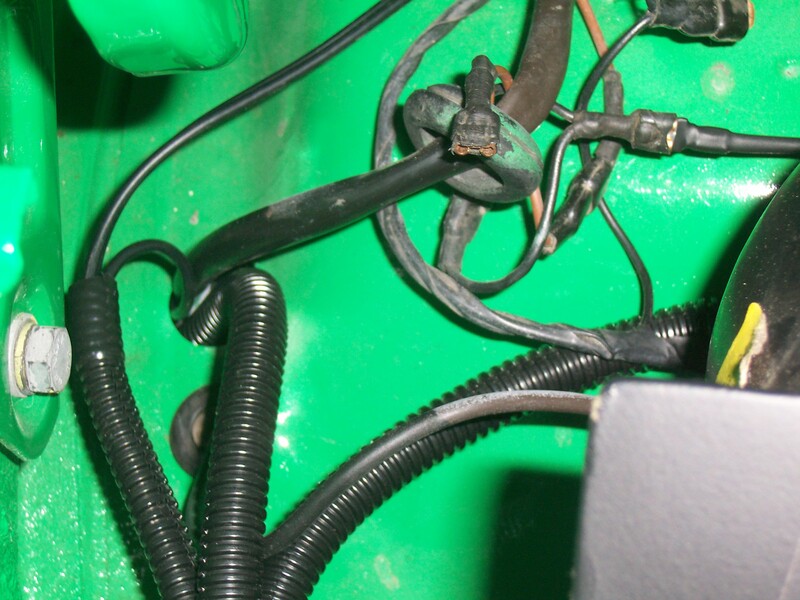 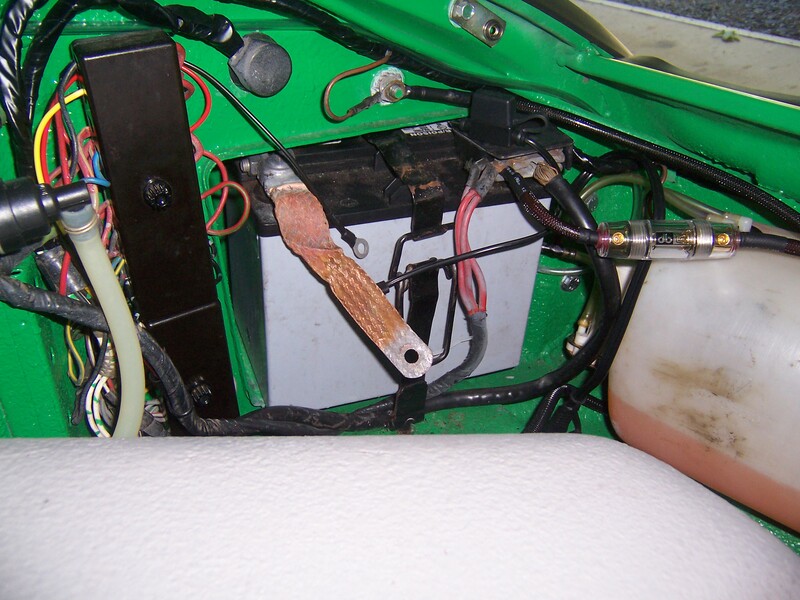 A bracket on the rear of the enclosure slips through a factory bracket and tension mounts the speaker in the car. 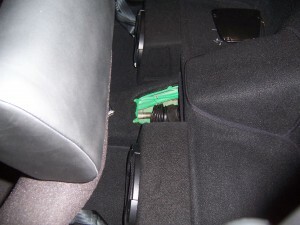 When finished the foreword facing rear speakers were able to blend well with the dash speakers using the fade control. This very enjoyable and fun stereo was installed without altering the vehicle one bit or drilling a single hole! !